Long-haul, budget airline AirAsia X will be flying to Russia very soon. AirAsia group CEO Tony Fernandes confirmed the news on Twitter after meeting with Russian Federation Council chairman Valentina Matvienko at an interactive meeting and business luncheon in Kuala Lumpur, Bernama reports. “Now meeting Russia Number 2 strong lady. 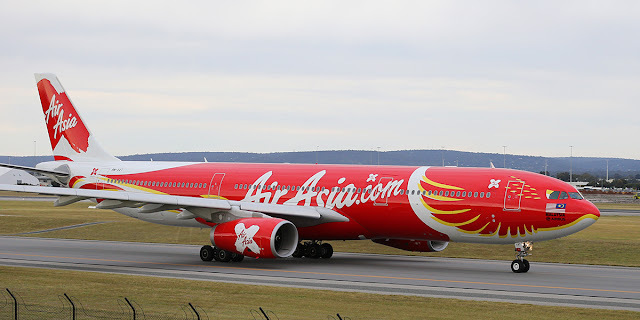 AirAsia X will be flying to Russia soon,” the 51-year-old aviation tycoon wrote on his Twitter. The business luncheon was also attended by Second International Trade and Industry Datuk Seri Ong Ka Chuan, Asian Strategy & Leadership Institute (ASLI) CEO Tan Sri Dr Michael Yeoh and Business Council for Cooperation with Malaysia Chairman Dr Vladimir Sautov. AirAsia X will be adding more new routes this year, in line with its turnaround plan. Apparently the flight will also be launching its Hawaii route next month.